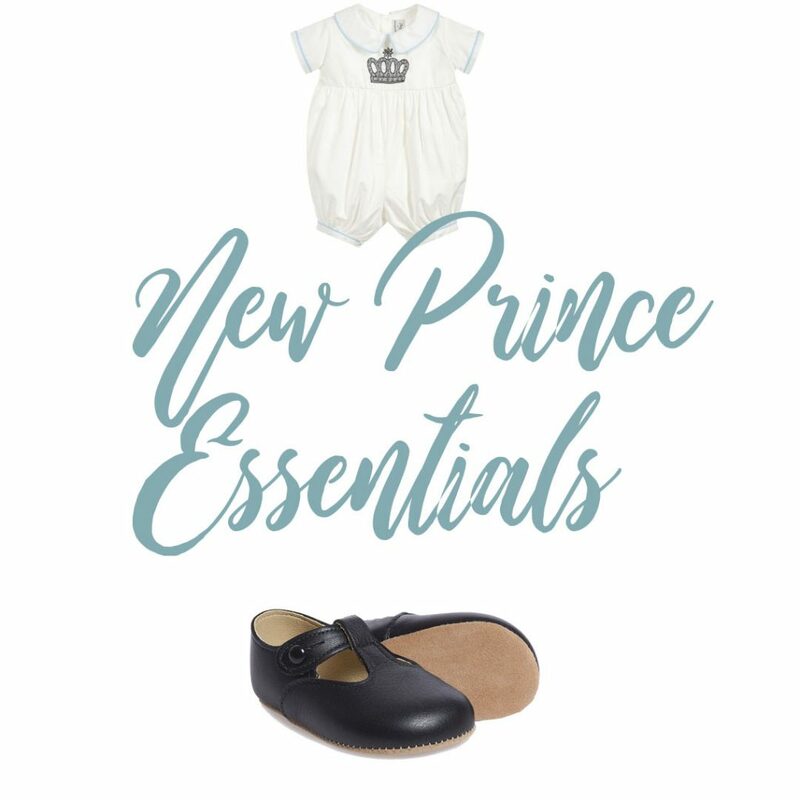 With the arrival of the gorgeous Prince Louis of Cambridge at St Mary’s Hospital in London last week (April 23rd) – we thought we’d come up with our own list of essentials for any little prince. Blue Almonds Royal Collection “Little Prince” Cushion – £80. 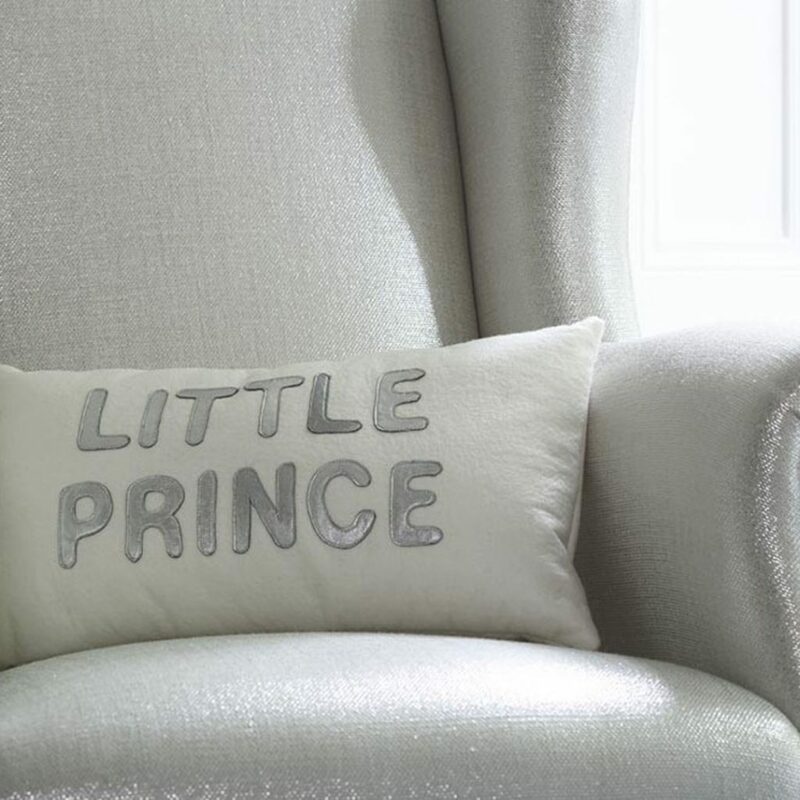 This lovely cushion in off-white wool felt with letter applique in silver leather is part of the Royal Collection range launched by Blue Almonds in July 2013. The Baby Cot Shop Belgravia Upholstered Cot Bed – £1,280. 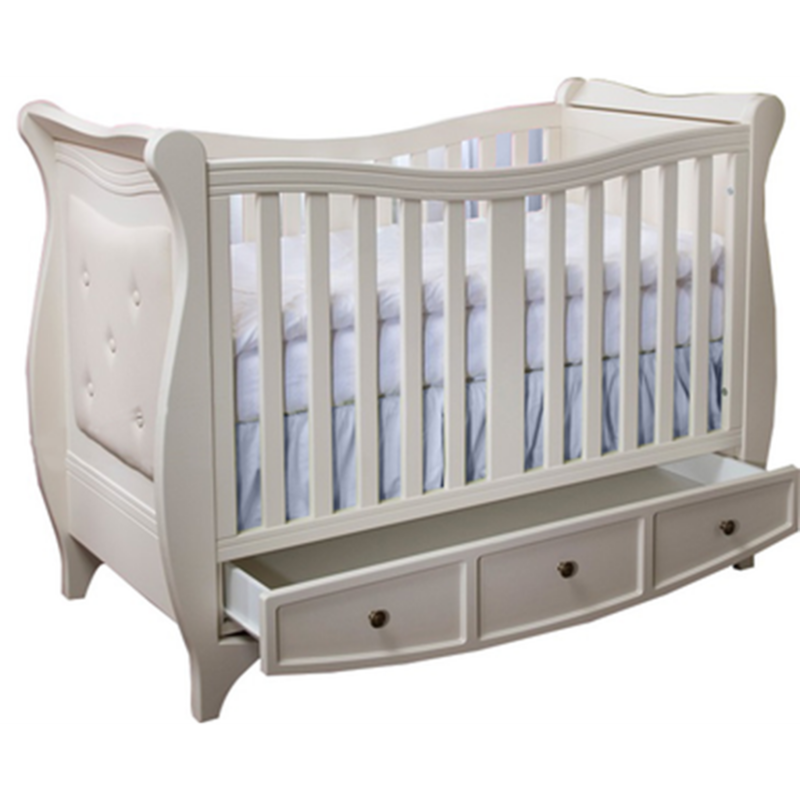 The Belgravia Cot Bed is the perfect solution for any nursery space that may be low on storage. This luxury baby cot has a large drawer on the bottom that spans the full width of the cot and has three metal pulls. The cot’s design is suited to both modern and traditional nursery designs with the broader slats being a little more modern while the curved edges lend themselves to a more traditional aesthetic. The upholstered ends with tufts also add more detailing and softness to the cot bed. This luxury cot bed converts to a toddler bed by replacing both side rails with panels (supplied). It can also be transformed to a child’s day bed making it suitable beyond age 6. 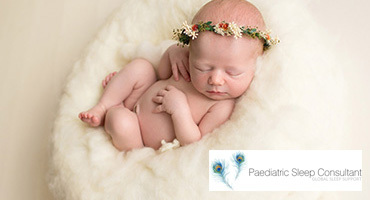 Aden & Anais Classic Swaddles – £42. 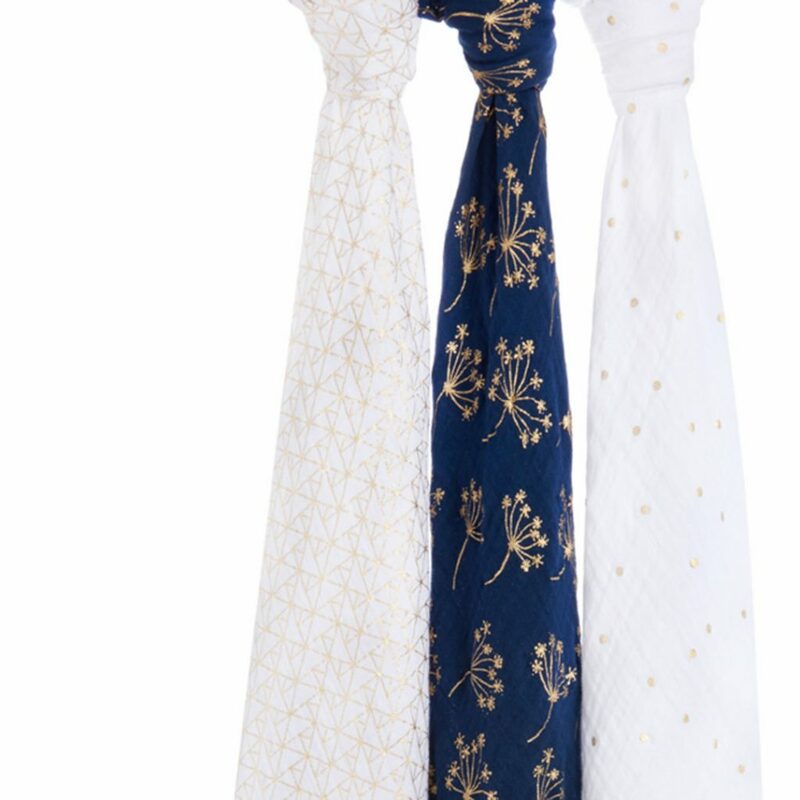 Perfect for those born to sparkle, these 100% cotton muslin swaddle gets a metallic makeover with new prints that are as soft as they are shimmery. 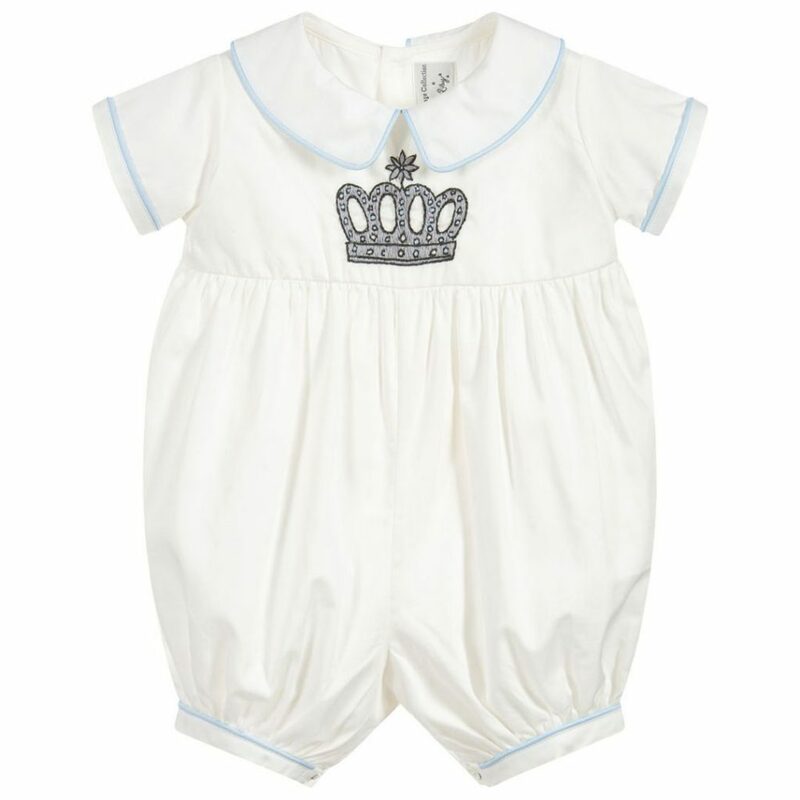 Children’s Salon – Rachel Riley Baby Ivory Prince Shortie – £75. Pale ivory cotton shortie for boys by Rachel Riley with a pale silver grey crown embroidered on the front and pale blue piping on the peter pan collar, sleeves and legs. It has a bubble shape for ease of movement and buttons that fasten at the back and on the legs for easy dressing. Children’s Salon – Early Days Black Leather ‘Alex’ pre-walker Shoes. £29. 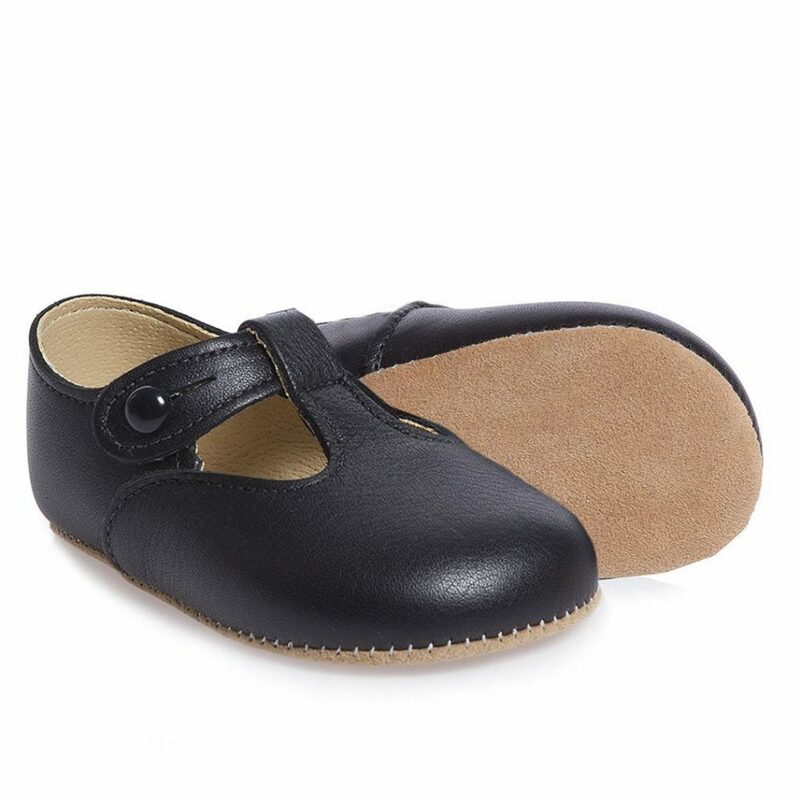 Soft Italian leather black pre-walker shoes by Early Days with a flexible sole and a comfortable lightly padded insole. This heritage style is a traditional English pram shoe with a t-bar and little button fastening. The sole is made from synthetic suede leather and is very hard wearing. Prince George was photographed wearing the ‘Alex’ shoe during his Royal Tour of Australia and New Zealand. 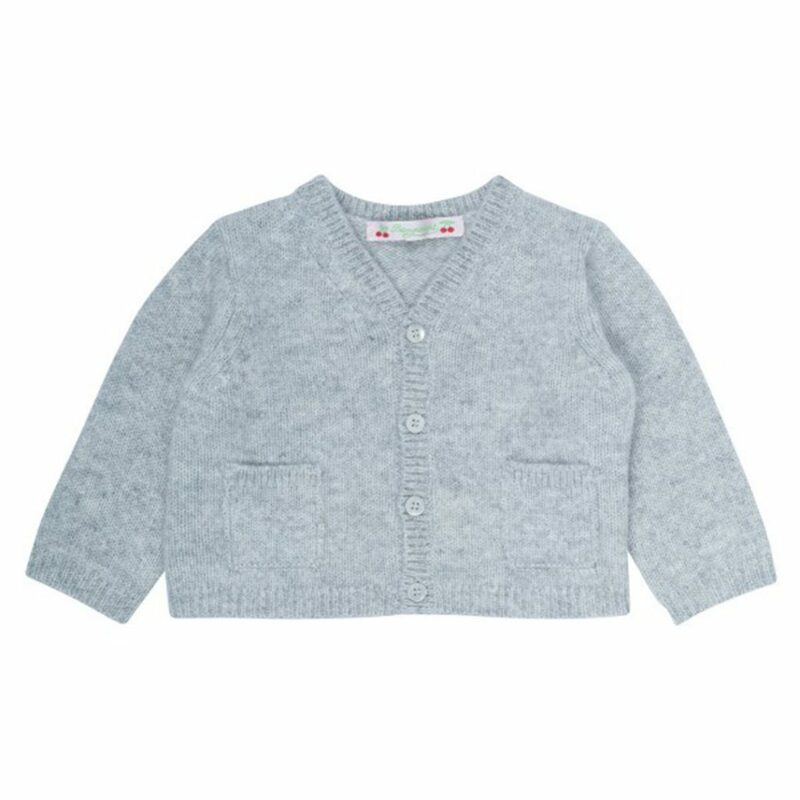 Bonpoint Cashmere Cardigan Light Grey Marl – £138. Super soft cashmere cardigan with V-neck. Summer 2018 Baby Collection. Cuddledry Handsfree Baby Bath Towel white/grey stars – £29.99. Apron style keeps hands free for bathing and lifting, pure unbleached cotton and natural bamboo fibre. It is silky soft and highly absorbent with a unique double layer system. Babybjorn – Bouncer Bliss – £147. 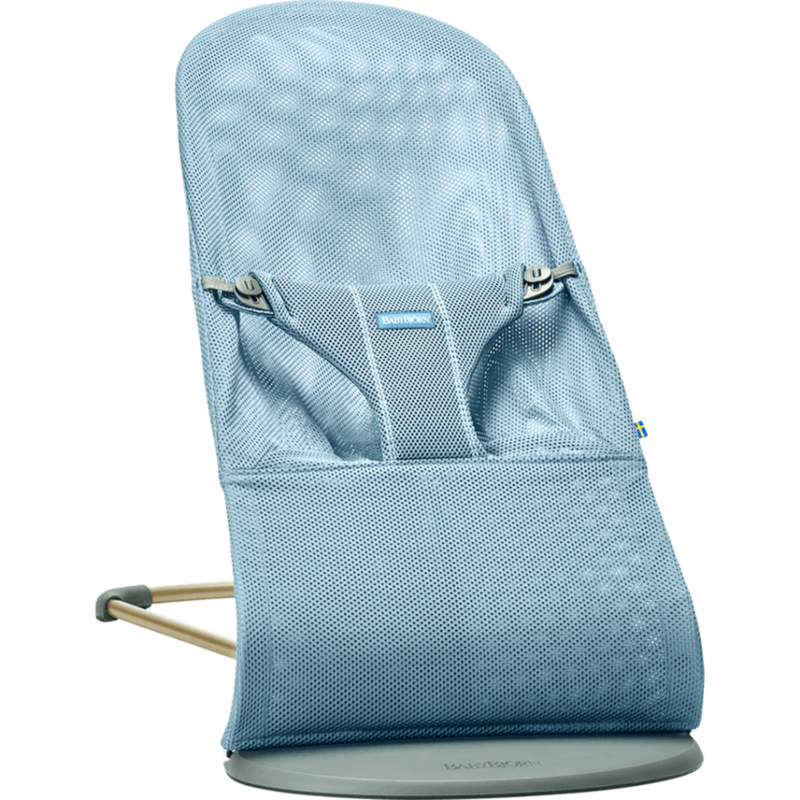 This ergonomic bouncer gives your newborn proper support, all natural rocking, lightweight and portable and suitable for up to 2 years. 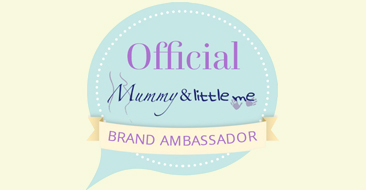 My 1st Years – Personalised Blue Gingham Robe – £26. As seen on prince George when he met Former President Obama is 2016. 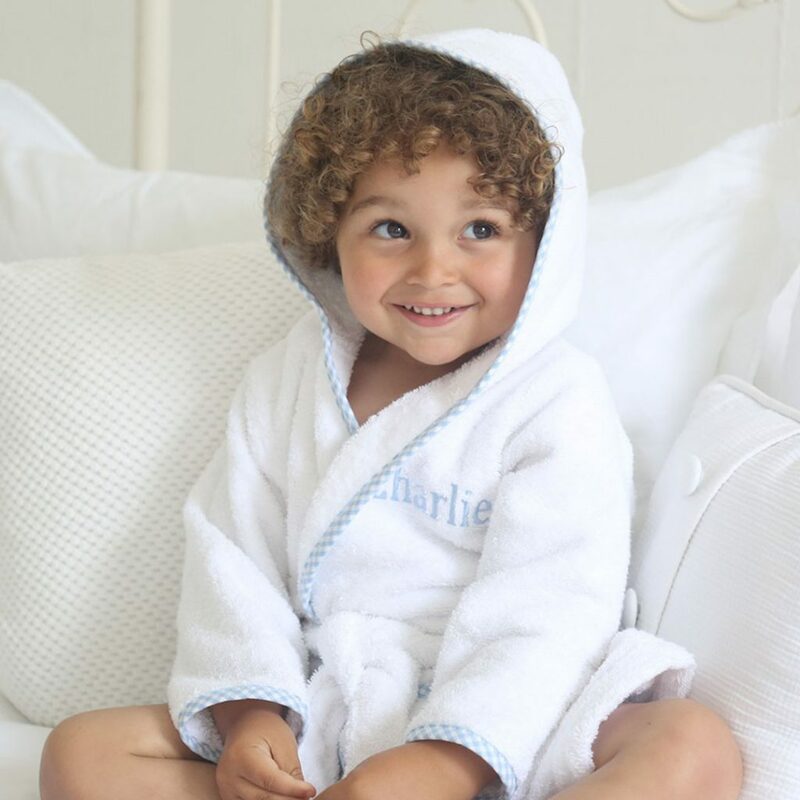 Ideal for popping on over pyjamas on chilly mornings or for drying off with after bath time, this luxury white robe is the perfect addition to your little one’s wardrobe. The sumptuous towelling feels super soft against baby’s skin and offers maximum absorbency for just-bathed tots. 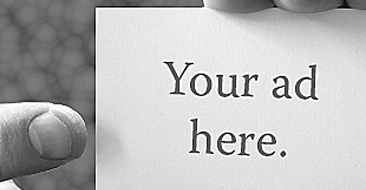 Don’t forget to complete the gift with our complimentary personalisation service – just enter up to 12 characters and we’ll embroider them on the front for free. Oh these are jut so adorable. I love those little shoes!